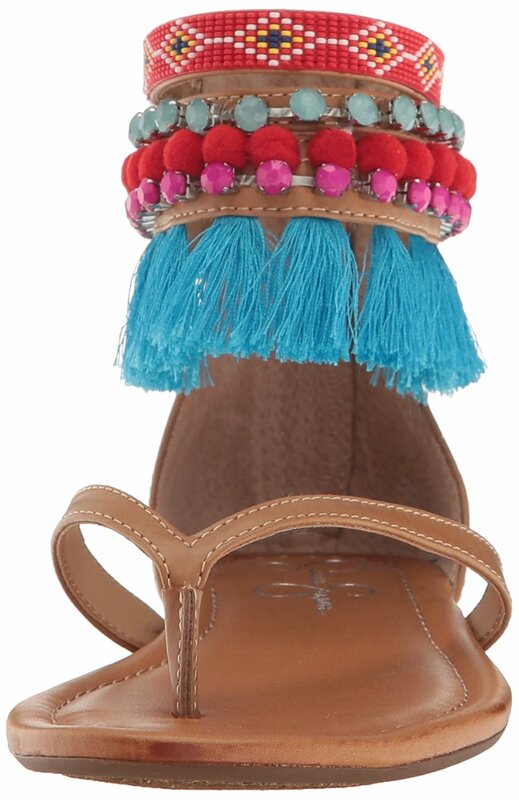 Cute boho flat sandal Our selection of Jessica Simpson's shoes includes various styles of heels, pumps, dress pumps, sandals, boots and wedges. Jessica Simpson's trendy and popular shoes are the perfect addition to your shoe collection. At Shoemagoo you can shop various Jessica Simpson dress pumps for every ocassion, high heeled sandals to wear with your party dresses and trendy leather ballerina flats to wear with all your outfits. Jessica Simpson also offers leather and suede ankle boots and flat knee-high boots. Shop a wide selection of wedges, oxfords, sandals, espadrilles and high-heel boots at Shoemagoo in various styles, sizes and shoe widths. / Buy with confidence! Jessica Simpson Womens footwear would make a great addition to your shoe collection! We're sorry, the returns information for this item is not available.